Moving to Modesto is something a number of people do each year, for a variety of reasons. We did some research and created this article for you to help make the decision, if you are thinking of moving there. Modesto has a population of about 200,000, so it is a medium-size city. About two-thirds of the population is Caucasian, with about 25% Hispanic, and the rest is Asian or African-American. 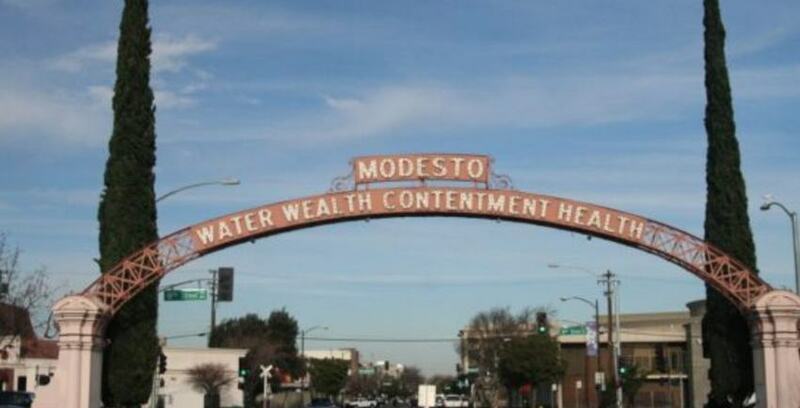 In Modesto, the median home value is $264,900 and the average rent is about $1,100. Modesto has some condos for less than $200,000 and a number of mobile homes for less than $100,000. It might also be possible to find some undeveloped land to build a custom home on. For renters, there are options which are cheaper than $1100, like small studio apartments and shared living situations. If you are open to renting a room in a home, the rent could be less than $700 a month. Moving to Modesto is something that would probably appeal to people who are looking for more affordable housing, or much more. If the median home price in San Francisco is about $1.5 million, moving to Modesto might be a good choice for someone who wanted to buy a home for the first time, and build up some equity. Cal-State Stanislaus in Turlock grants 4-year degrees. If you are willing to drive a bit further, the University of the Pacific in Stockton and the University of California, Merced are within striking distance. Additionally, there may be very small places in that general area you might visit like Coulterville, LaGrange, and Groveland. There are places east of Yosemite which will be more accessible too, like Mono Lake and Bishop. Some people prefer the eastern Sierra because it is less crowded. There are other less visited places to experience too, like Lodi and Sonora, which are about an hour or less by car. Modesto might not spring to mind as a cultural center, but it has its own symphony and opera. Live music such as rock and blues is available too, at a number of venues like bars and lounges. If you want live music in a more formal setting, the State Theatre has a number of performances each year. (Independent films are shown here too.) The Gallo Center for the Arts also puts on various live music shows each year. So, Modesto’s musical offerings might surprise those who are unaware of what is provided each year. For movies, there are also theaters with the standard mainstream offerings. In a city with 200,000 residents, it is typical to find many churches, and Modesto is no exception. There is also a Buddhist organization in Modesto — Watt Cambodian Buddhist Association. A synagogue, Congregation Beth Shalom, is also available. If you are Muslim, there is an Islamic Center as well. Finally, but of no less significance, there is a Hindu temple — Shree Ram Mandir. Yes, we have a storage facility in Modesto, so if you need storage, please contact us. So, after reading this article. Are you still interested in moving to Modesto?